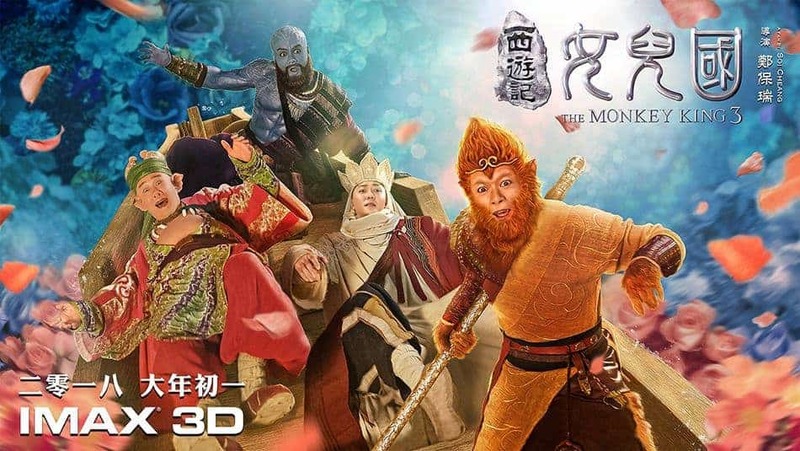 The third installment of the Monkey King franchise, after The Monkey King (2014) and The Monkey King 2 (2016), Monkey King 3: Kingdom Of Women has released its trailer, ready to hit theaters this Lunar New Year. Based on the 16th-century Chinese fantasy classic, “Journey to the West”, the movie tells the story of Tang Sanzang (Feng Shaofeng) and his three proteges when they head into the all-female land in the Xi Liang nation known as Women’s Country. Without knowing, Tang Sanzang and Zhu Baije (Xiao Shenyang) drink the water from the mighty River God and get pregnant. That’s not the only problem. The ruler of the country (Zhao Liying), falls in love with Tang Sanzang and attempts to keep him with her forever. On Sun Wukong’s suggestion, Tang Sanzang pretends to marry the ruler and lies that his three students will go to collect Buddhist sutras in place of him. After pretending to see his students off, he then escapes with Sun Wukong’s help once all of them are safely outside the nation. However, their trickery angers the mighty River God and brings about the ancient prophecy – when a monk from the East comes with a pig, a monkey, and a water-buffalo, it means the fall of the kingdom. Directed by Soi Cheang, the movie stars Aaron Kwok, Feng Shaofeng, Zhao Liying, Xiao Shenyang, Him Law, Lin Chi-ling, Kingdom Yuen, Pan Binlong, and more. The film will be released on February 16, 2018.